Our hygienist plays a key role at The Mews Dental Clinic, helping you to avoid or combat dental disease. She will create an individual daily oral health home care routine specific to your needs, as excellent home care is paramount in the prevention and treatment of gum disease. The treatment of gum disease often takes time, and a number of visits may be necessary before the disease is under control. Regular visits may be necessary for some patients, who are more prone to gum problems, so that they can receive appropriate advice and treatment. By keeping your mouth in tip top condition you are likely to need fewer visits to the dentist for treatment or toothache. Smile with confidence and keep your teeth for life. An excellent home care cleaning regime, on a daily basis, is paramount in preventing dental disease and bad breath. This will also maximise the lifespan of any fillings, crowns, bridges or implants that you may have. 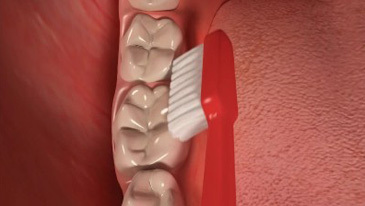 Good cleaning techniques are important to ensure that no areas of the mouth are missed and that the best results are achieved; so preventing gum disease or the need for corrective dental treatment. The dentists and hygienist will be happy to provide you with individual advice tailored to your oral health needs, on brushing techniques and different oral hygiene aids. Many patients prefer to use electric toothbrushes and we would recommend the rechargeable type rather than the battery powered. Electric toothbrushes are available to purchase at the practice and our team will be happy to advise you. 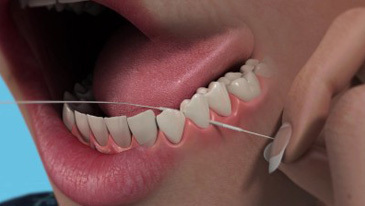 Cleaning between the teeth with floss or interdental brushes is also important in the prevention of dental disease, and should ideally be carried out daily. The dentists or hygienist will give you individual advice on their use, as technique is all important to achieve the best results. The use of superfloss may be necessary, if you have bridgework, to keep your mouth healthy and looking good.